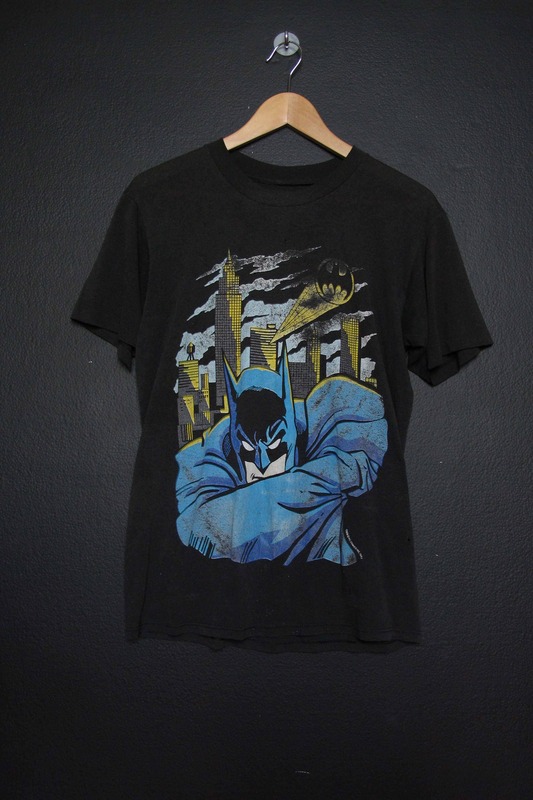 Batman 1989 Vintage Tshirt, licensing on graphic reads 1989. 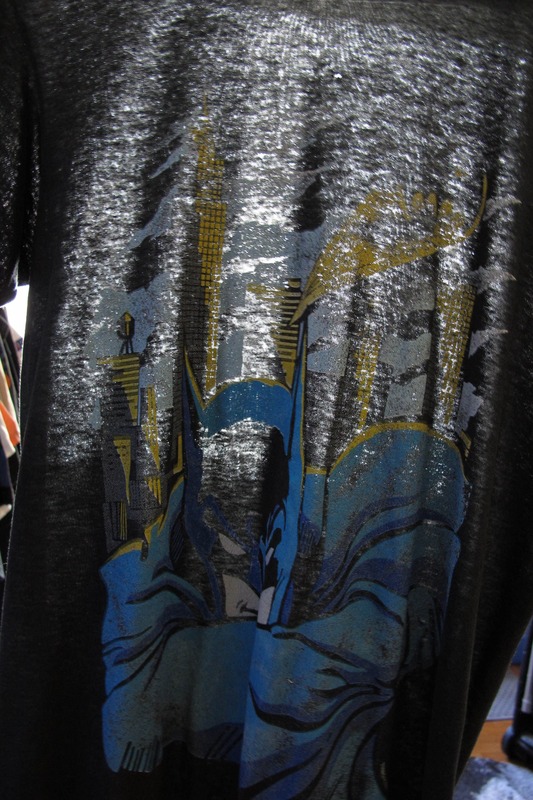 No tag, please see measurements. 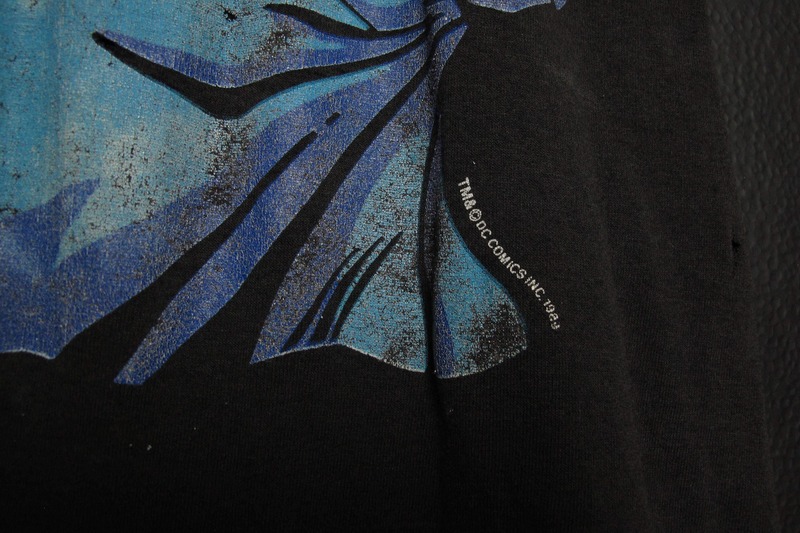 Back collar to bottom: 26.5"
This shirt is in awesome vintage condition with some fading throughout, cracking on the graphics and the shirt has a very worn in and paper thin feel. 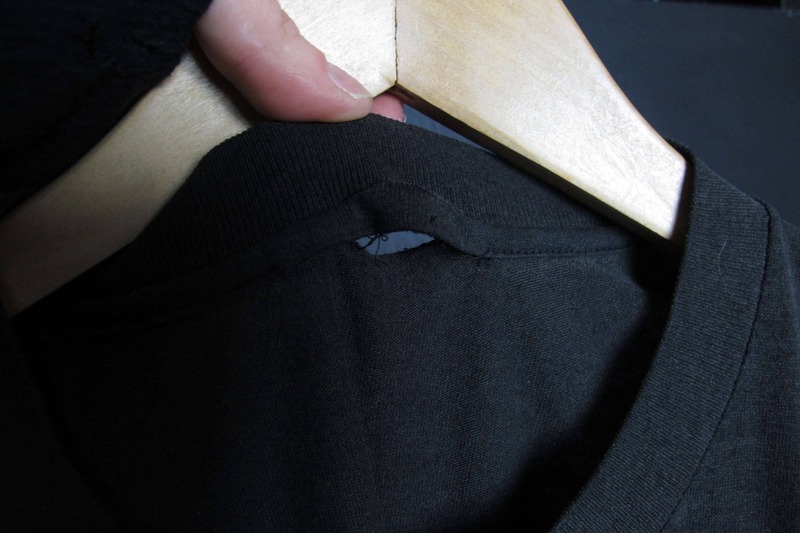 Small hole where the tag used to be.